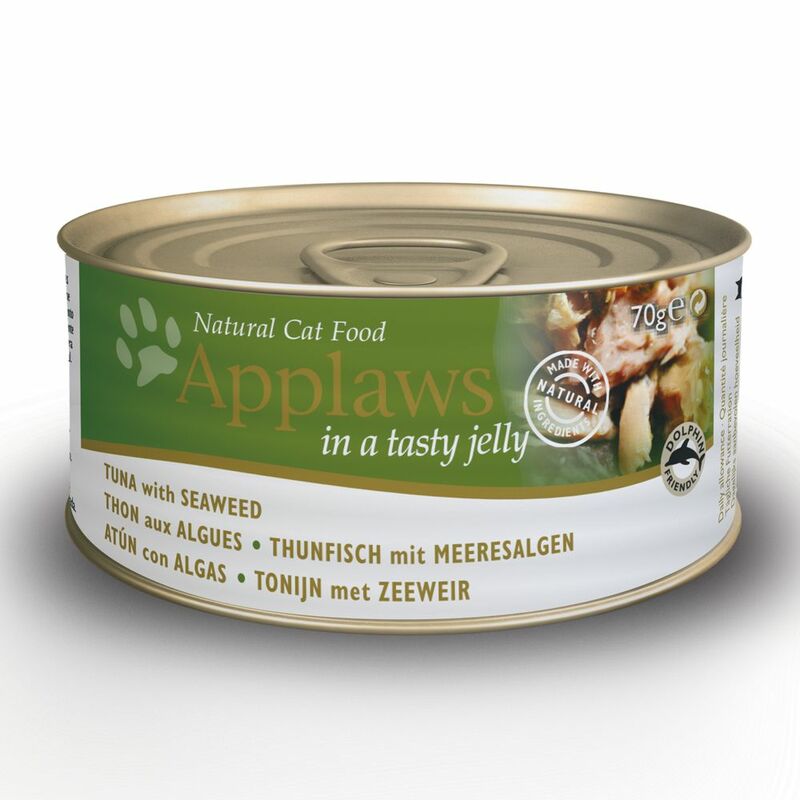 Applaws Cat Food in Jelly is a tasty complementary food for adult cats, made from 100% natural, premium ingredients. Nothing artificial has been added to this cat food. The chicken in the food provides lean protein, and comes from free-range birds that have been reared without the use of hormones or antibiotics, whilst the fish fillets have been sourced from sustainable and ethical fisheries. Cats will love the tasty jelly, which gives the food its delicious flavour. Applaws in Jelly is particularly rich in natural taurine and arginine – two eΒential amino-acids. None of the varieties contain grain, making this food especially suited to cats with food intolerances or allergies. Applaws in Jelly is available in two delicious flavours - Tuna with Seaweed or Sardine with Shrimp - or in a great tasting selection pack. Applaws Cat Food in Jelly at a glance: Supplementary food for adult cats 100% natural, premium ingredients Meat from free range chickens, raised in a species-appropriate way, without the use of hormones or antibiotics Fish from ethical and sustainable sources Grain-free No additives Rich in natural taurine and arginine Excellent flavour that cats will love Jelly Selection (12 x 70g): 3 x Chicken breast with Mango in Jelly 3 x Chicken with Mackerel in Jelly 3 x Mackerel with Sea Bream in Jelly 3 x Tuna with Seaweed in Jelly.